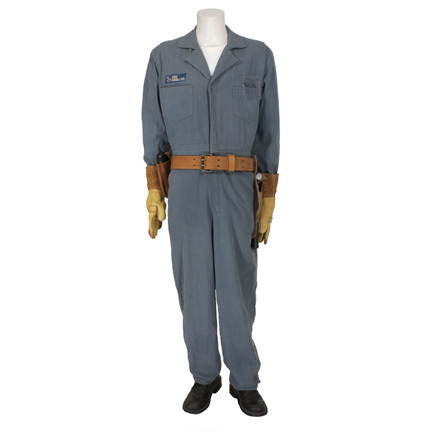 This costume was worn by the character “Chip” AKA “The Cable Guy” in the 1996 motion picture “The Cable Guy” starring Matthew Broderick. 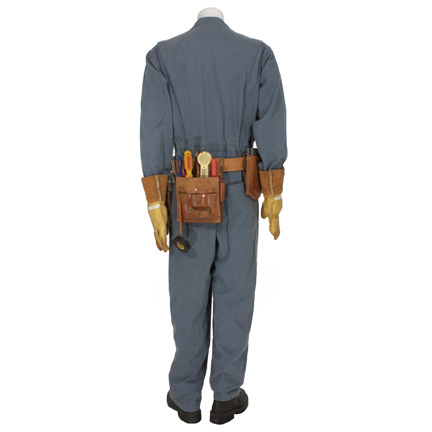 The costume consists of a cream t-shirt by Banana Republic, a set of blue heavy cotton zip front coveralls, clear pocket protector, pair of black leather socks, set of screen matched rubber prop tools with roll of electrical tape, pair of black leather work boots by Bill Blass, tan leather tool belt, and a pair of leather work gloves that were purchased for use on the production but not clearly seen (possibly from a cut scene). 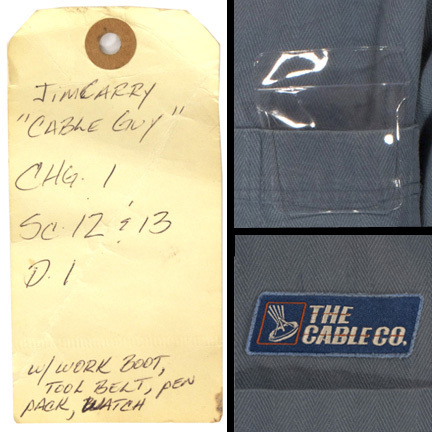 The coveralls have “The Cable Co.” embroidered patch on the breast as seen in the film. 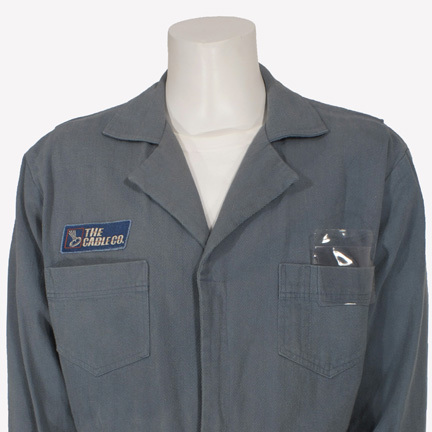 The original costumer’s tag is attached listing actor and character names and assorted production information. 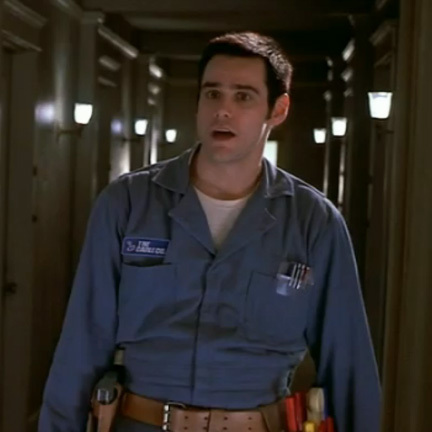 Chip wore this uniform in the opening sequence of the film when he arrives at to fix the cable service at the apartment of “Steven Kovacs” (Broderick). 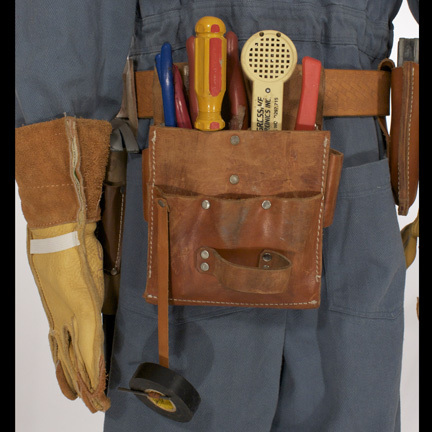 Chip wore the jumpsuit and tool belt with different wardrobe combinations in several subsequent scenes from the film. 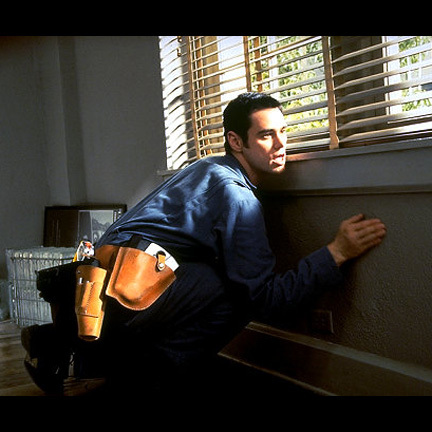 Jim Carrey won two MTV Movie Awards in 1997 for Best Comedic Performance and Best Villain for his work on “The Cable Guy”. 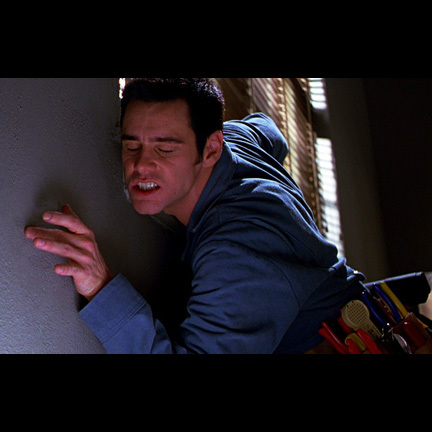 He and co-star Matthew Broderick were also co-nominated for Best Fight for the comedic medieval sword fight sequence. 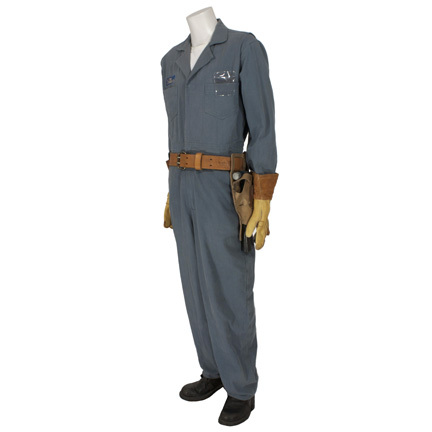 The costume is in very good screen used condition and is accompanied by a letter of authenticity. Presented by The Golden Closet, your premier source for iconic screen used wardrobe, props, and collectible music entertainment memorabilia.